A collection of useful books for those who are living in, or planning to live in Spain! Michel Thomas took the language-learning world by storm. With no books, no memorising and no homework, Michel teaches the basic grammar of the language painlessly. Using the method he perfected over 50 years, he shares his secret with the world – and ‘makes it simple’ (Sunday Times). In only a matter of hours, he gives you a comprehensive grasp of the structure of the language, enabling you to communicate with confidence. The present, future, conditional and past tenses are covered, and you are taught to think about the ideas that you are trying to communicate, rather than to translate words slavishly. He points out the similarities of the vocabulary in English and Spanish and gives you the tools to guess the words you do not know, or think you do not know. Join two students as they learn in real time. Become the third member of the class and experience the excitement of learning a language as if by magic! 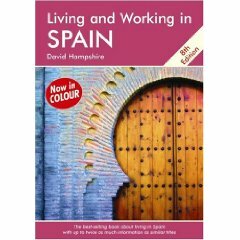 Living and Working in Spain is essential reading for anyone planning to live or work in Spain and is the most up-to-date source of practical information available about everyday life. It’s guaranteed to hasten your introduction to the Spanish way of life, and, most importantly, will save you time trouble and money. 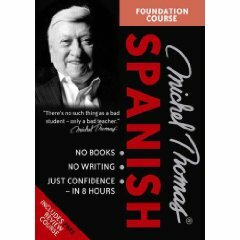 The best-selling and most comprehensive book about Living and Working in Spain since it was first published in 1995, containing up to twice as much information as similar books. Now completely redesigned and printed in full colour. David Hampshire was born in England and after serving in the Royal Air Force, was employed for many years in the computer industry before taking up writing full-time in the ’80s. His work has taken him around the world and he has lived and worked in many countries, including Australia, France, Germany, Malaysia, the Netherlands, Panama, Singapore, Spain, Switzerland and the USA. David is an authority on living, working and buying property abroad, and is the author, co-author or editor of some 20 titles, including Buying a Home in Spain.